This is part of one of the larger jobs already posted on this site. 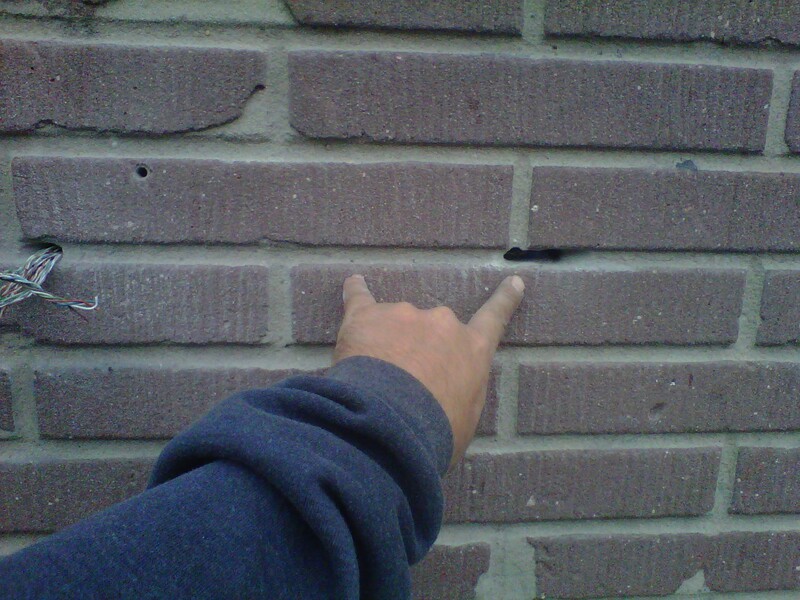 The customer suggested that I channel out the concrete between the bricks to run the wires, but I felt that would have left the job sloppy, and would have actually been more work than to come up with this solution. About 2 feet to the right of where the door phone was to be installed the wall was thin enough do drill thru the masonry, So I had to channel thru the concrete to get the wire to where it needed to be. 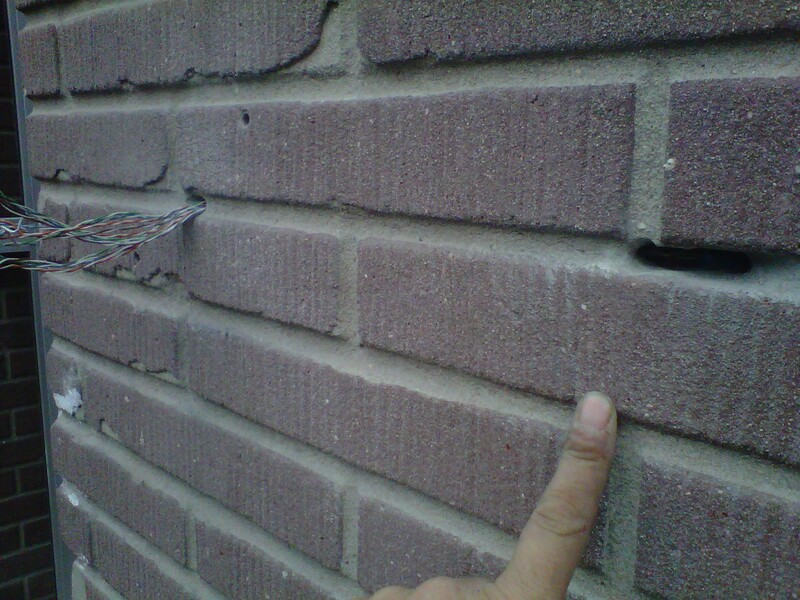 Drilled hole across brick towards where wire exits for channel. 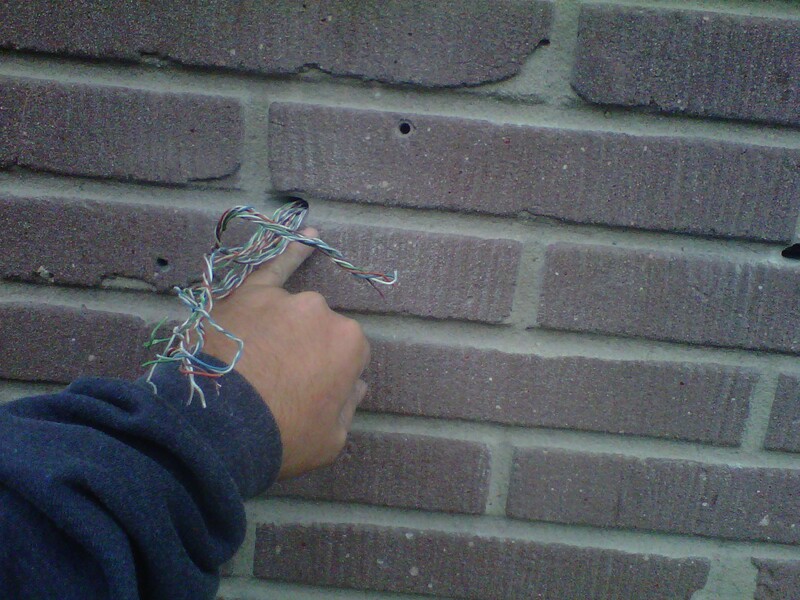 3x Cat 5 wires (for 3 door phones) run thru channel behind brick. Hole on right is where wire enters building, to left is where wire exist thru channel behind brick. 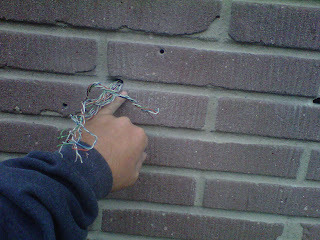 Another angle of the channel for door phone wiring. 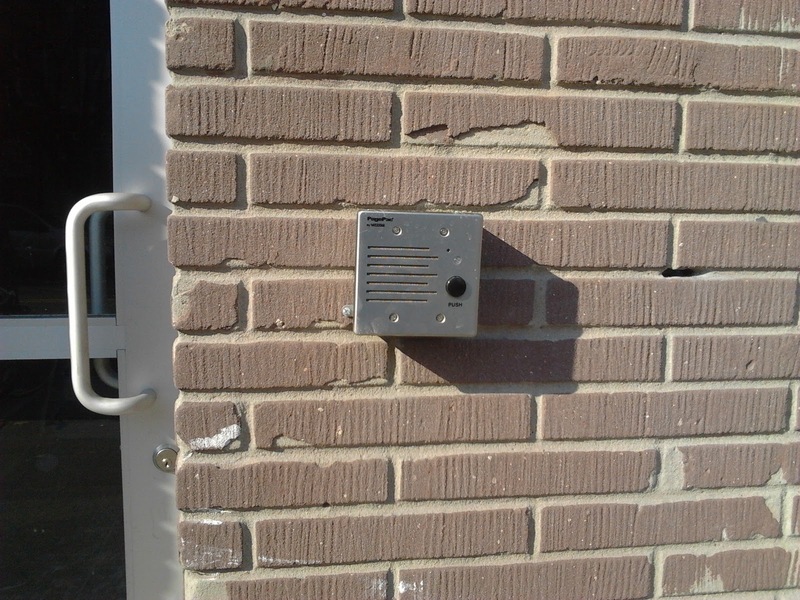 I do not have an image of the door phone installed. 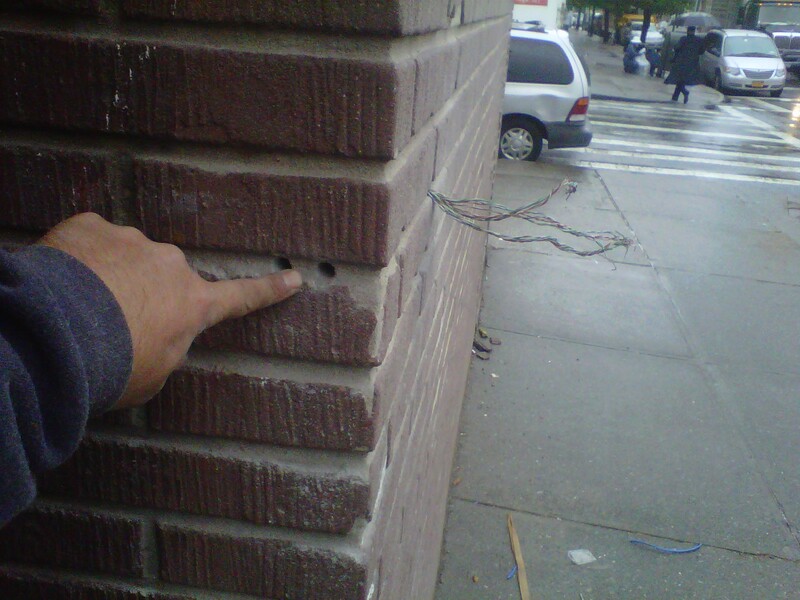 If I pass by this location again, I will take an image of the installed door phone and add it to this post. EDIT Here it is, finally. 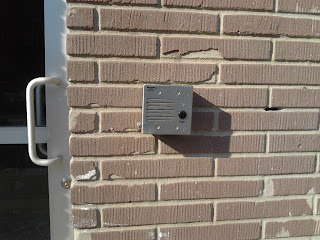 The door bell mounted by the front door. Considerations when moving into a new office. National Grid car with WiFi? antennas on roof.